For prospective merchants that think starting an ecommerce business is easy, Shirley Tan disagrees. 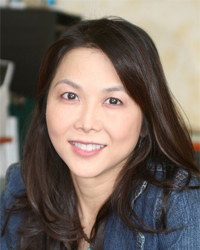 She has the experience to disagree, having founded her first ecommerce site in the 1990s, which became a market leader, and which she later sold. Her new book, Ecom Hell, describes what it takes — from the trenches — to successfully run an ecommerce business. We spoke recently with Shirley Tan. Practical Ecommerce: You’re an ecommerce pioneer. 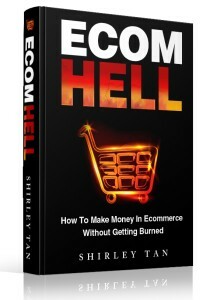 Your new book is Ecom Hell, a provocative title. Why did you write it? Shirley Tan: “I wrote it for folks who are just starting out in ecommerce. My point of view is that the real work in ecommerce starts after the customer places the order. Everything leading to that, all the marketing, all the search engine optimization, web design, all of those are completely important. But, at the end of the day, the customers care about getting their goods. It’s the post-sale customer experience that is important. PEC: You founded, AmericanBridal.com in the 1990s. You grew that to be a dominant retailer of wedding products, before selling it in 2009. What is the state of ecommerce now? Tan: “The current state of ecommerce is very tough. I tell my clients it’s Amazon’s world. They’re the big gorilla in this space. They’re everywhere. They seem to sell everything. What can new ecommerce merchants, even the people who have been in ecommerce a long time, what can they do to really differentiate themselves? PEC: Tell us more about your ecommerce experience. Tan: “I started off as a retailer in the late 80s. I did this when I was in college. I was just a typical retailer, with a brick-and-mortar store. In the early 90s, I started a mail order catalog, and hated it. Hated it. It was a lot of work. When online came about in 1996 and I registered the domain name, put up a website on the Yahoo! store platform, and didn’t know what I was doing. It really took a backseat to the retail store as well. I think it took me a really long time to figure out what the online business was about. PEC: Tell us about your new business, Ecommerce Systems. PEC: There are folks reading this that may be contemplating launching their own ecommerce business, or a new facet of their current business. What’s your advice to them? Tan: “The biggest thing is — even if you have an existing business and you’re thinking about branching off to a different niche — there are three things to remember. “First, focus on a compelling message. What is this new company going to be about? If you’ve done it before, how is it going to be different from your previous businesses? Who would be the audience — not just the demographics. Who are the customers that are most likely to buy from you? Why? What do you have in common with them? Focus on a compelling message of who you are and who you’re not. You need to go after that crowd. Share your values and go after them with a vengeance. That’s number one. “The second thing is to nail down your product. If you have only one vendor and that resource goes away, then what? You’ve invested all this money in a website, in perhaps an infrastructure, a back end, and you pin your whole entire strategy on that this supplier is going to come through for you. That’s too many eggs in one basket. It’s best that you have more control over the goods. Meaning that it’s either your design, you’re making it, or you have some kind of intellectual property to it, so that you control the fate of your goods. Otherwise, it’s just a commodity. Everybody sells commodities, right? The margins are slim. It’s competitive. The next guy will just lower the price just to make the sale. It’s like a race to the bottom. PEC: Your new book is Ecom Hell. Where can someone buy it? Tan: “A lot of people — big companies, small companies — they’re all thinking of the next hot popular product. They want to be the next iPhone. But it’s more important to focus on the excellent service. Add value to the customers, because consumer products come-and-go. Products can be knocked off. It’s only as good as the next knock-off or the next mark down, or in terms of pricing game.